We create designs that break through the noise and make an entrance. 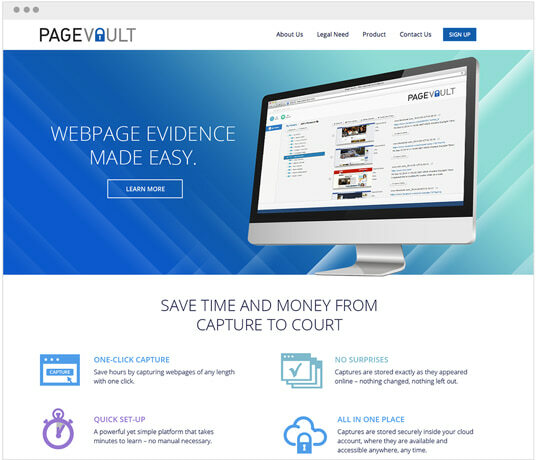 Page Vault makes digital evidence admissible in court. It’s a product that helps lawyers capture evidence and win cases. 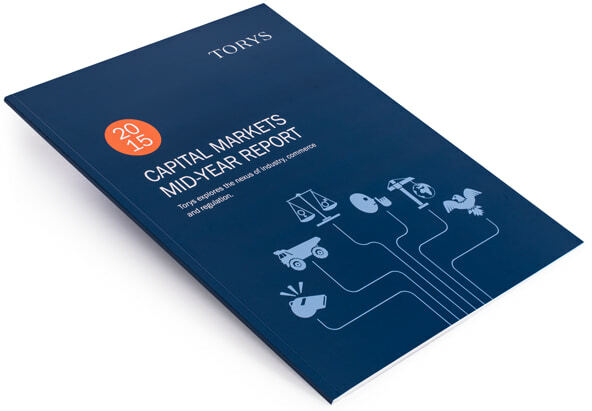 Torys is an international business law firm. Our projects include annual publications, advertising and various other communication materials. 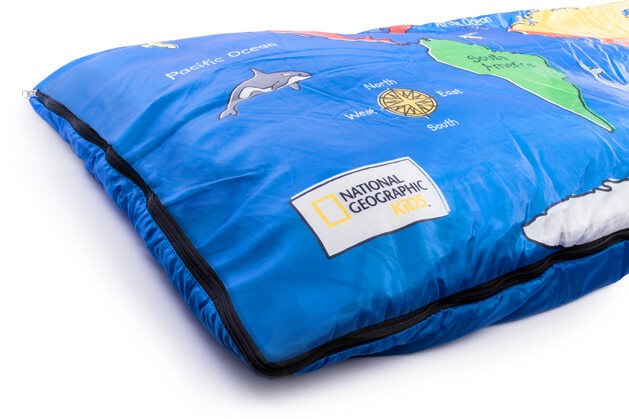 Working with Canadian Recreation Products, we created a graphic print for children’s sleeping bags to inspire curious minds and imaginations. 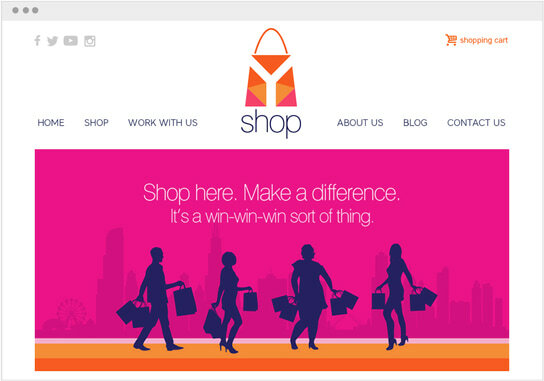 YWCA Metropolitan Chicago launched an online store, YShop. They partner with local businesses and in return a percentage of every purchase benefits YWCA Metropolitan Chicago. These are the brilliant minds behind the AGO renovation and TD Place Stadium in Ontario. 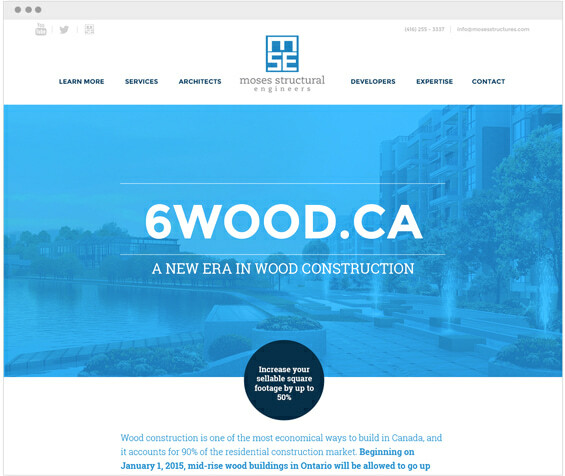 6Wood.ca is a microsite we created to focus on their wood design services. Ready to break through the noise? Let’s chat.